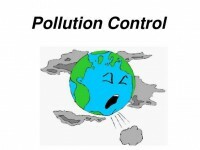 Motor vehicle emissions contribute to air pollution and are a major ingredient in the creation of smog in some large cities. Exhaust gasses are one of the main reason behind global warming and in some cases due to incomplete burning of fuel, the exhaust gasses are toxic too. For a pollution, free transportation system emission norms are turning in favor of nature and engine technology is at its best to lower the amount of greenhouse gasses and toxic materials in exhaust gasses.